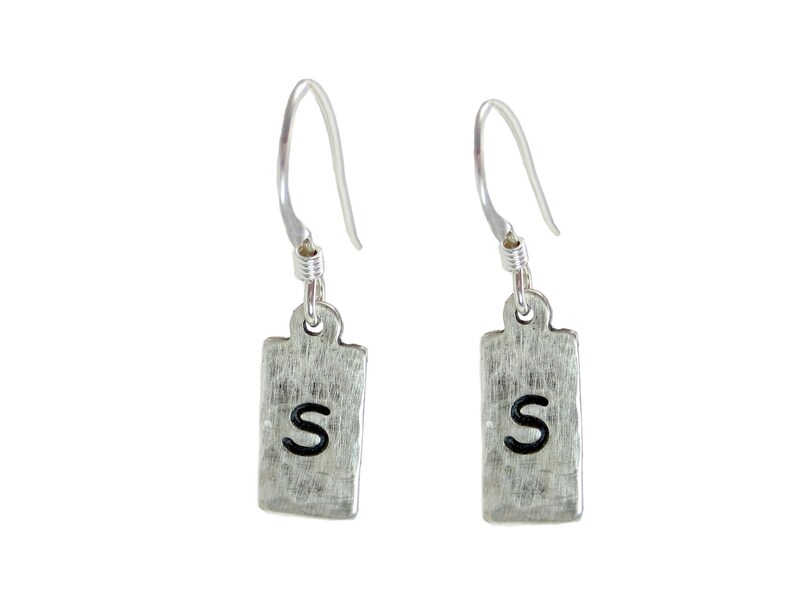 These Rectangle Initial Earrings are the perfect size for you! 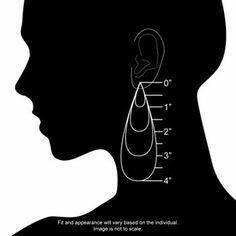 The drop measures 6 x 14mm and the earring with the French Earwire is a total of about 1 inch in length. 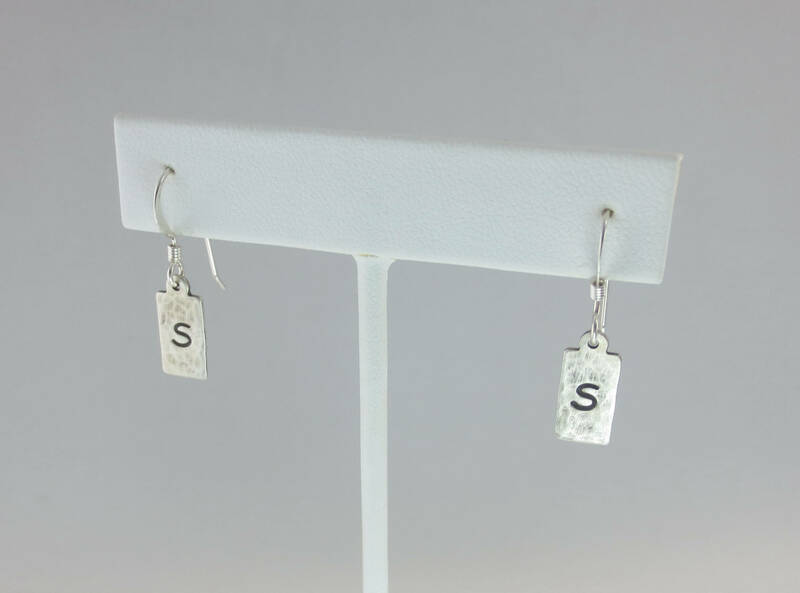 The Rectangle Charm is a fan favorite, and you'll love it even more when you wear it as earrings with your initial stamped on them. 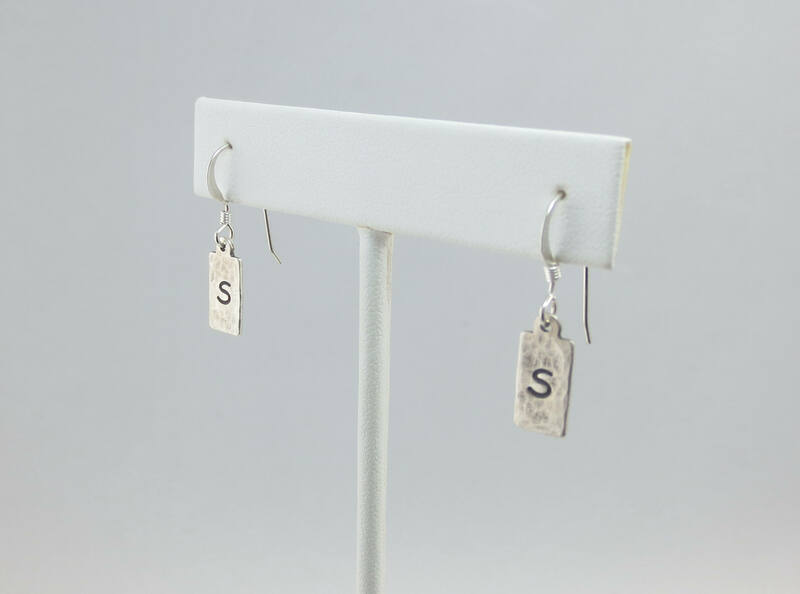 The charm is about 1/4 inch wide by 1/2 inch long and with the French earwire the earring is a total of about 1 inch long. 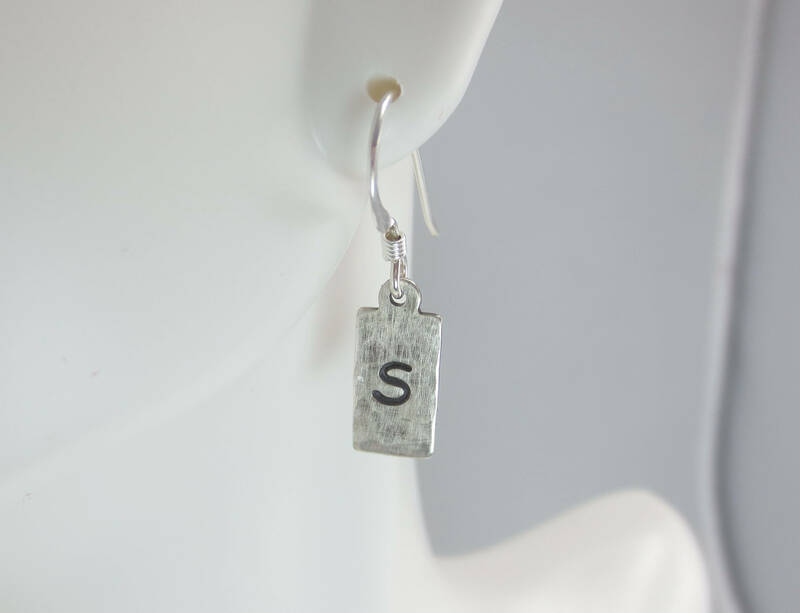 You can select your earrings in Sterling Silver or 14k Gold Fill, with the initial of your choice in the 3mm Comic Sans font! 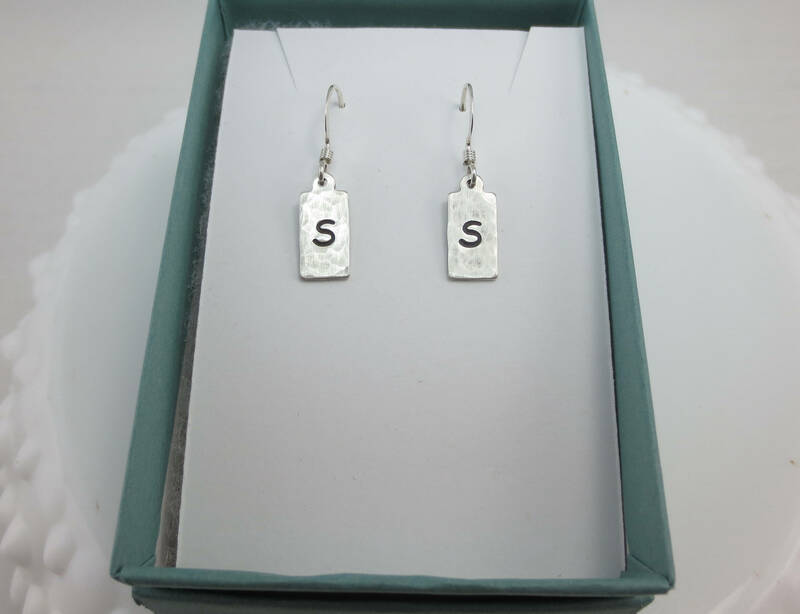 My process includes texturing the charm with a ball peen hammer, hand stamping the .925 sterling silver mark or GF for Gold Fill on the back, stamping the letter and cleaning the surface with fine steel wool. 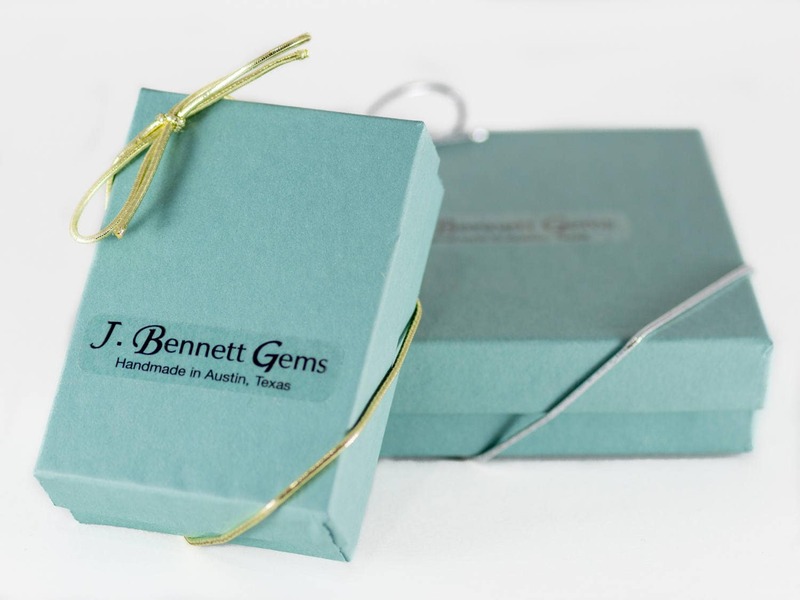 ♥Your purchase will come thoughtfully packaged and ready for gift giving in a pretty, green gift box wrapped with a bow! If this purchase is a gift that we are shipping directly to the recipient, please let me know if you would like me to include a handwritten message, so they know who the gift is from. 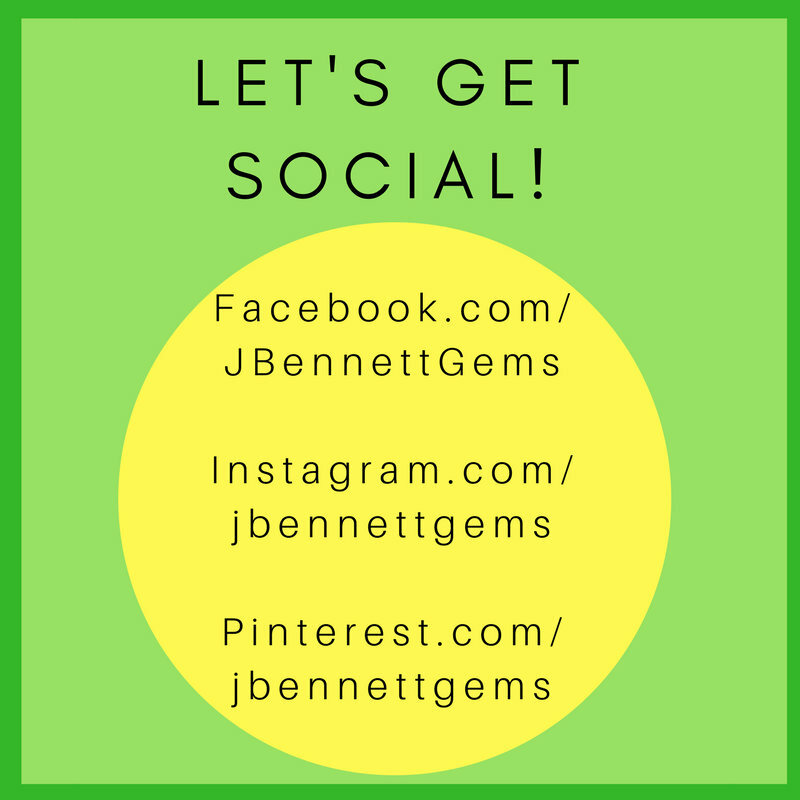 You can leave me a note in the "message to JBennettGems" box at Checkout with your short message. Thanks for visiting my online store!